My birthday is coming up in a couple of days or on November 21st and I will finally turn 21 years old. Only a few days left of being 20! 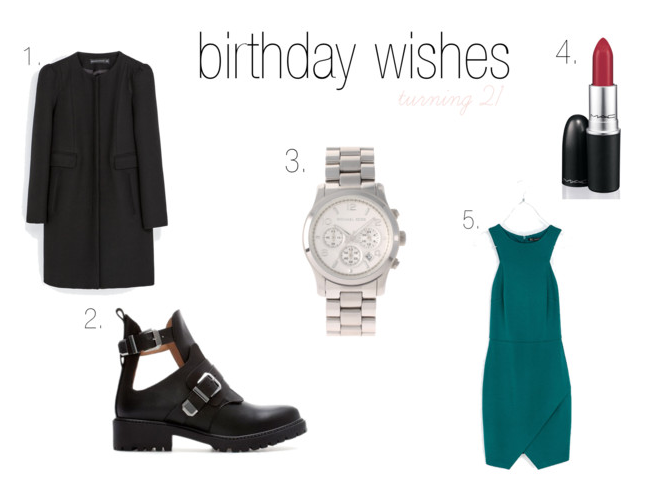 I hope you get everything on your birthday wish list! The watch looks awesome <3 Good choice !! How do you make a wishlist like that? Veistu hvort kápan sé til á íslandi, hún er dásamleg. Ég sá hana um daginn en er ekki viss hvort hún sé til núna, mæli með að hringja í Zöru og athuga málið.